● We will do everything we can to make you happy. FULL REFUND for any reason or no reason - PERIOD! ● No “hoops” to jump through! ● No hard to find cancellation page! 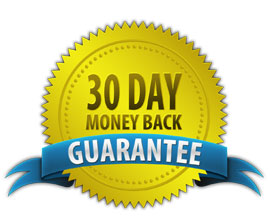 Here is our guaranty: If, at any time within thirty days of opening a new account with us and remitting payment, you are not satisfied with our services -- for any reason or for no reason -- we will refund the statutory agent fee and business address fee (if applicable) you paid to us, no questions asked. If you want to tell us why you want to cancel, we will certainly listen, but you WILL NOT be required to give us a reason for cancellation. Your refund will be processed by the next business day. The “Cancel Service” link is at the bottom of the Home Page. Please check around to see if any other statutory agents offer this type of guaranty. Naturally, we cannot refund fees (if any) that you have paid to the Arizona Corporation Commission or to a newspaper (for publishing Articles), but we will refund 100% of the fees paid to us for statutory agent services and 100% of the fees paid to us for our Arizona business address service (if applicable). For “White Glove Service” (our fast and easy service where we do all the work to create your new LLC, and includes all of the fees paid to the ACC and newspaper), we will refund 100% of the fees paid to us, but we cannot refund the $105 paid to ACC or the $50 paid to the newspaper (to publish your Articles). Initial Business Organization Documents after they have been sent to you. Publication of Articles after they have been sent by us to the newspaper.